^^ I always start by spraying her hair with a spray bottle and adding detangler. Usually, I braid her hair before bed which helps with the tangles. ^^ I give her my phone to play Endless ABC so it distracts her while I brush through her hair. ^^ This is my favorite smoothing brush when I’m doing ponytails or buns. This post is for my mama followers! 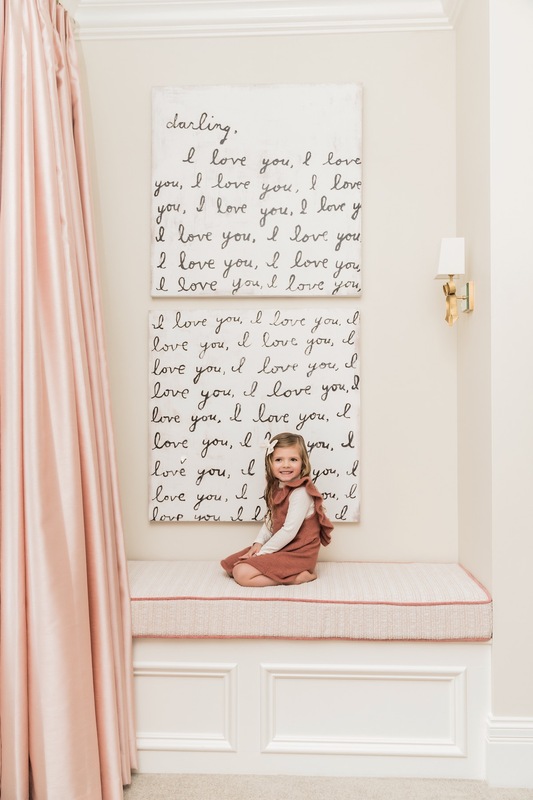 One of my most asked questions is about Isla Rose’s hair – how I do it and all the products I use. I am planning to do an Instagram Live so that I can give you more information on the products and show you how to do a few different hairstyles. I think that would be much more informative than showing a tutorial in pictures. I’ll be going live tomorrow morning at 7:45 am MST! I have found that if I brush and braid Isla Rose’s hair before she goes to bed, it makes the mornings so much easier! 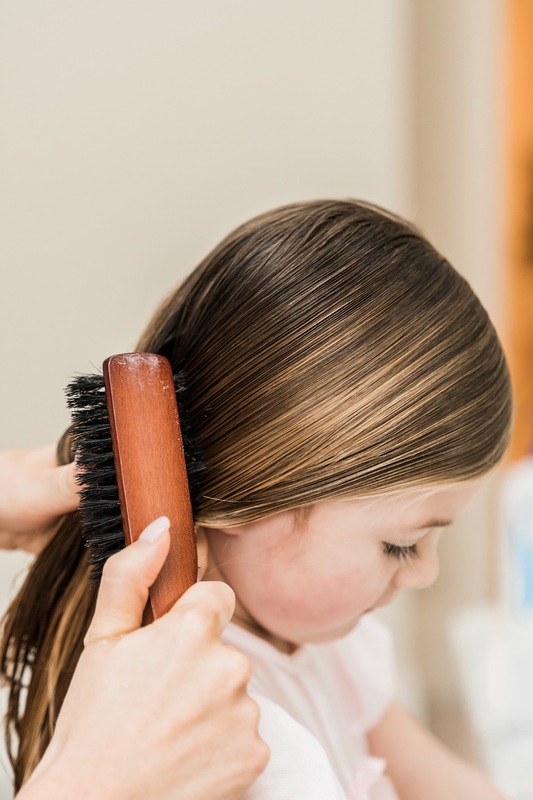 I’m sure most of you mamas can relate to the screams and tears when brushing a toddler’s hair. 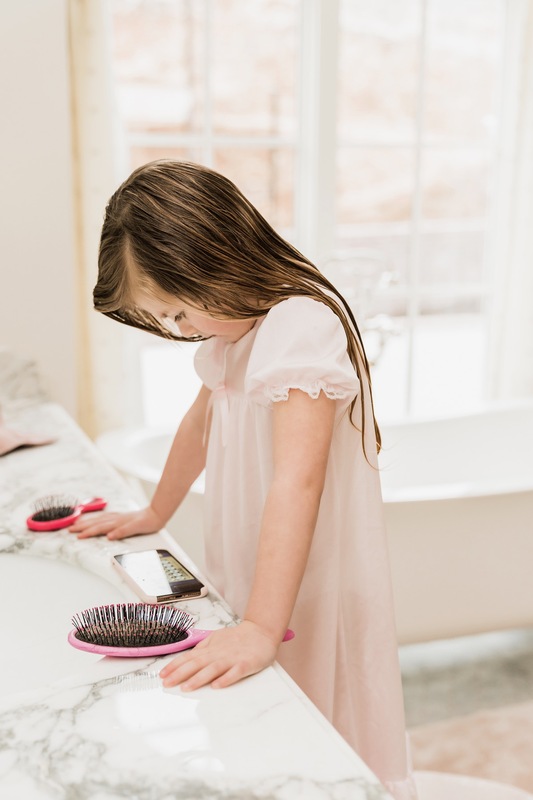 It’s never fun but we’ve found a routine that makes doing her hair fun, quick and painless!! My secret weapons are my spray bottle, detangler, wet brush, and phone!! I use the phone to distract her, the wet brush is specifically designed to gently get the tangles out (if you don’t have one you need this stat). 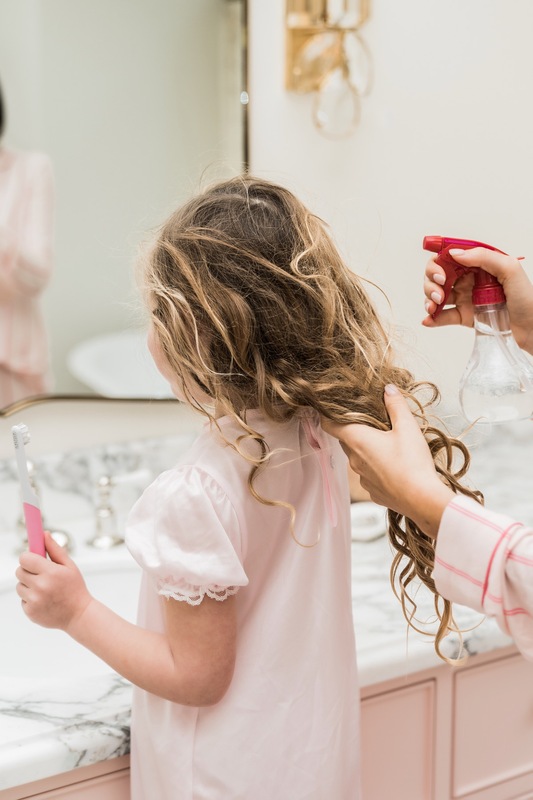 Using a spray bottle to get the hair damp and adding detangler is the quickest and most painless way to get through the tangles. After it’s smooth, I add a pump of the volumizing foam I linked above to help set her natural curls. Let me know what questions you have on the comments below so I can answer all of them during the live tomorrow morning!! My daughter is the same age as your daughter & her hair seems similaR as well. 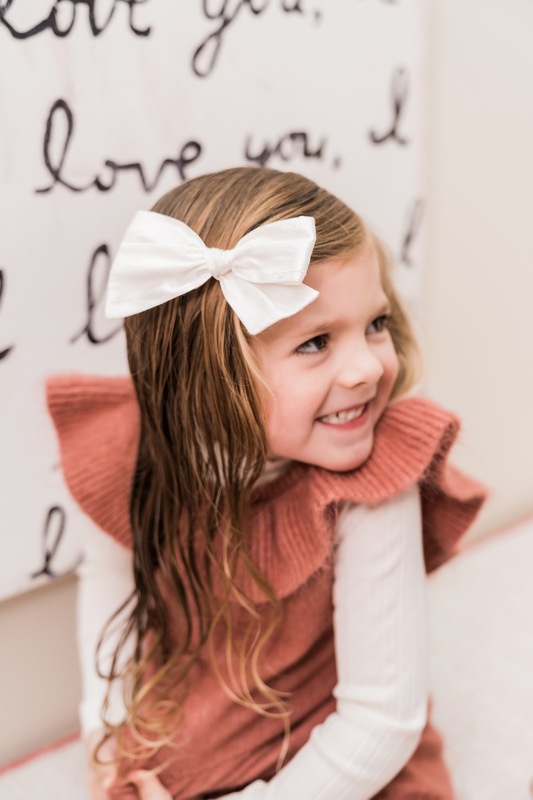 Just curious, how often Do you gEt Isla Rose’s hair trimmed? 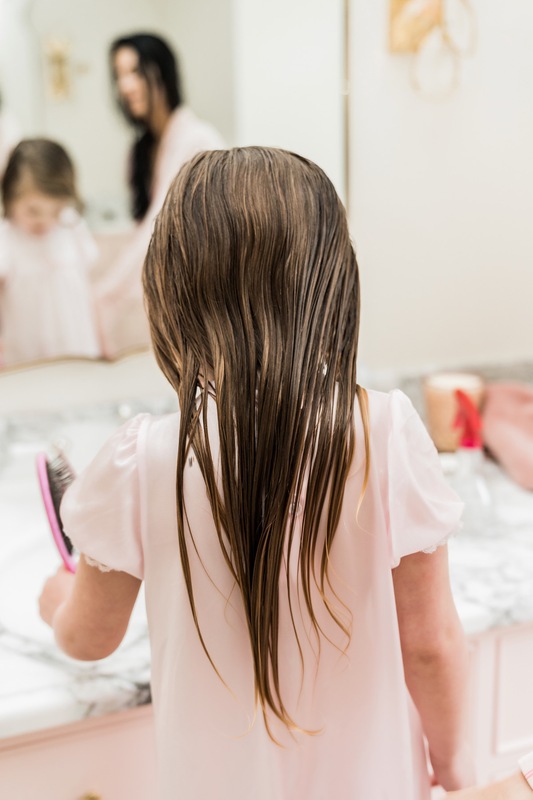 We want to let our daughter’s hair get long, so we’re keeping trims to twice a Year right now. Her ends get pretty bad though waiting that long between trims. Awww such a cutie piE! Love ♥️her haircare routine! What shampoo and condItioner do you use on her hair? I just want to say how impressed i am with how beautiful Isla Rose’s Hair is Each day!!! You have cracked the code on curly hair and Your commitment to getting it done is inspiring to me! My mom didnt know what to do and didnt try with my curly hair – so i had to figure it out myself as i got older. My 2.5 year old has my Same curly and fine hair but i love it long and don’t want to cut it!!! It may seem silly but Just want to say thank you from the bottom of my Heart for this post! It gives me hope to untangle and tame The wild tresses my sweet little clara rose wakes up with each Morning!!! Have you tried using the Flairosol Squirt bottles? Those have been life chanGing for our braids. They are on amazon or any beauty supply stores. Thank you so much for this! My daughter is 3 1/2 and has curly hair, which I do not. I have been trying to figure out what to put in her hair so it is not so frizzy. I talked to my stylist and i just knew not to put anything in it that would dry it out. this was so helpful. 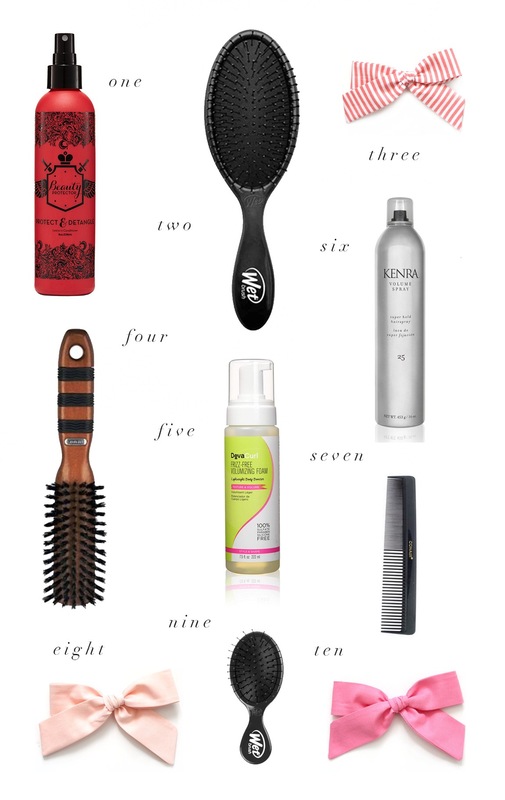 thank you for the product list! Thank you for following along! You’re welcome! Where are your pjs from? So cute! This is perfect! My daughter is the only one with curly hair and i have no clue how to take care of it other than what I’ve seen you do on Instastories. I’ll have to go grab up some of the items you mentioned and cross my fingers!!! CAN YOU PLEASE POST THE INSTAGRAM LIVE VIDEO OF HER HAIR ON YOUR IG HOME PAGE SO EVERYONE CAN SEE HOW YOU STYLE HER HAIR? MANY OF US MISSED THE LIVE TUTORIAL. THANK YOU!!! Isla Rose’s hair tutorial is on my Instagram, click the IGTV button! Did you save the video? If so how do i find it? Also, where are Your Daughters pjs from?